In the pre-settlement forest, natural variation across sites and ongoing natural and human disturbance processes led to differences in age, density, size, and species of trees across a wide range of sites. 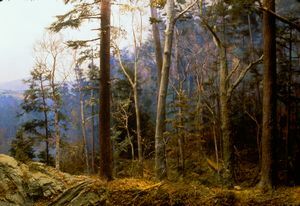 Notice the large trees and large fallen trunks on the right in the diorama. Compare them with the smaller, younger trees, including species intolerant of shade such as paper birch and red cedar, on the left. 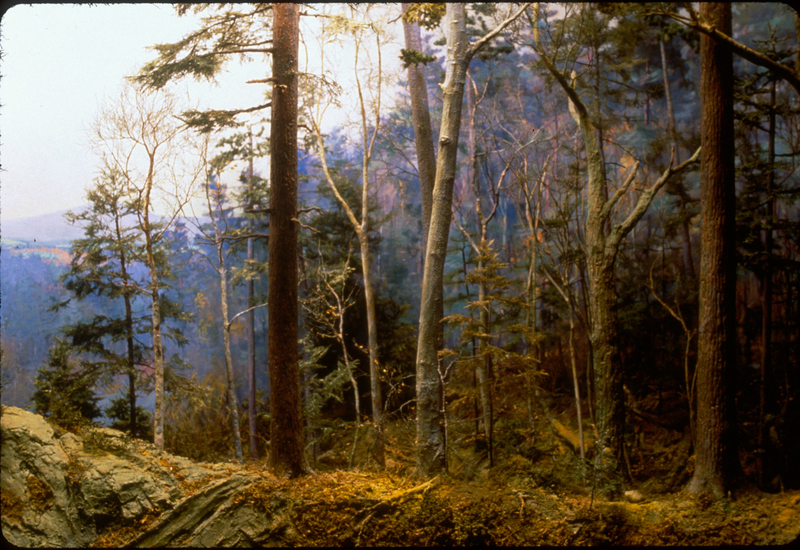 The Harvard Forest is a department of Harvard University's Faculty of Arts & Sciences and a member of the U.S. LTER Network supported by the National Science Foundation. Learn More about Our funders. ©2018 The President and Fellows of Harvard College. All rights reserved.